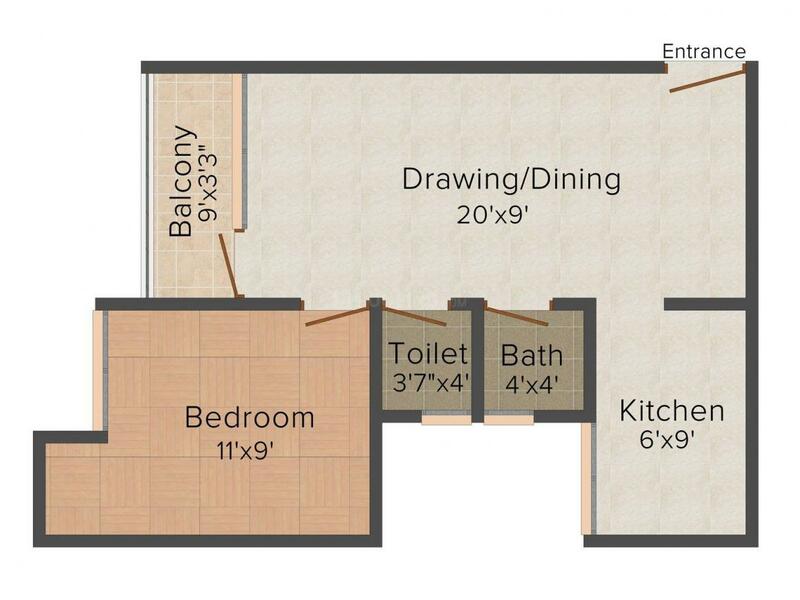 530.00 sqft. 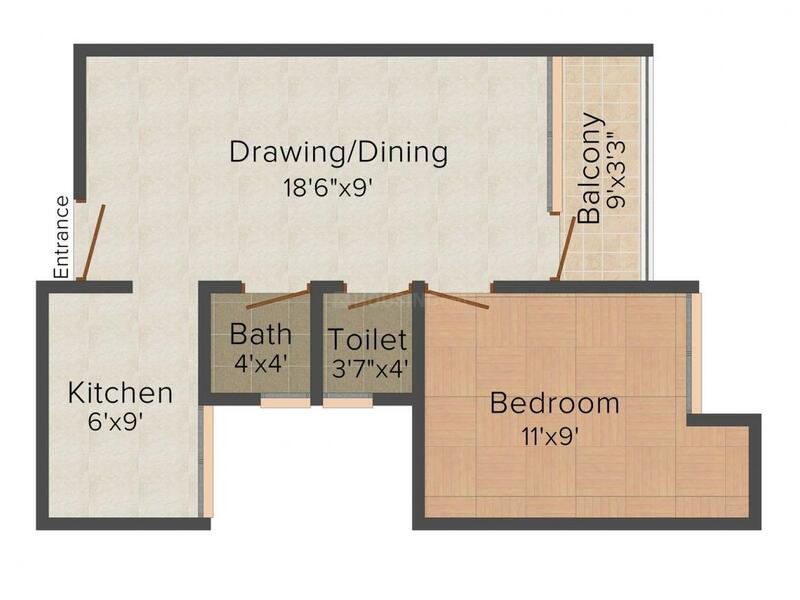 - 745.00 sqft. Chandra Kanta Residency is packed with the most sought-after facilities and possesses an excellent structure based on a solid earthquake resistant foundation. It is a wonderful abode where you can make the most of the life opportunities while staying under the aegis of elegance, luxury and security. Designed with traditional and modern considerations in mind, it is Vastu friendly and also incorporates the contemporary décor trends. Here you will find everything befitting a high standard of living and blissful existence. The exteriors with the landscaped garden and internal roads represent an articulate architecture that speaks of brilliance and harmony. The community hall, utility shops, restaurant, gym and sports court are sufficient to entertain you and your family. In short, Chandra Kanta Residency is completely deserving of your attention and investment. Pilkhuwa is a very important town of Ghaziabad district that is known as a major industrial hub for textile production in the area. It is a favored destination for people looking for job and employment. Blessed with excellent network of roads and nearness to important cities like Delhi, Meerut, Noida, Bulandshahar, Surajkund and Ghaziabad; it has seen large-scale development and growth. Many residential and commercial projects are housed in the area and it is a preferred dwelling for people of the area. Located off the Delhi-Lucknow National Highway 24, it is served by 4 railway stations with the nearest being Pilkhuwa, at a distance of I km and the farthest being Hapur, 13 km away. A number of schools and colleges are located here that impart education in different fields of medicine, law, engineering, science and many other branches. DAV Public School, Rajputana Regiment Inter College, St. Xavier’s Convent School, Vibgyor International School, Satyam College of Engineering, Maharaja Agrasen Institute of Technology, Saraswati Medical College and Rama Medical College are just some of the names. Every amenity, right from hospital to hotel, is available at Pilkhuwa and you will not find any dearth of any facility. 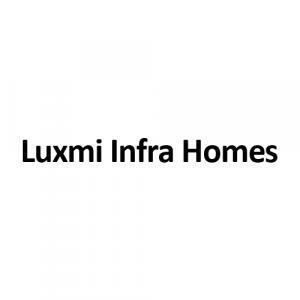 Luxmi Infra Homes came into being in 2010 and has constantly moved forward on the development curve, making sure home seekers get their dream homes at affordable prices. The firm seeks to become a household name with its products and does so by ensuring timely delivery of projects. It strives not just to meet the expectations of customers but exceed them as well. It builds homes with the intention of satisfying customers and thus, brings the best talent on board with expertise in different sectors. The Luxmi Infra Homes is committed to becoming a pioneer in the field and is moving ahead in the direction with great diligence.